To select a random name from a list of names, enter the RAND function in an adjacent column. Then, sort the column of random numbers. The name that appears at the top of the list is the winner. 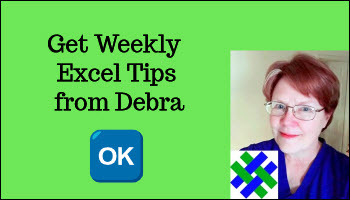 For more tips on sorting, see Sorting a List in Excel. After you create formulas in Excel, you might need to change the formulas to the calculated values, to lock them in. Use this mouse shortcut to copy and paste as values, in one quick step. 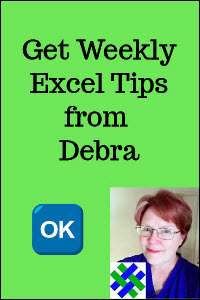 There's also information on Excel Keyboard Shortcuts. To help users enter data correctly, you can display a message when they click on a cell. Use the data validation settings to show data entry instructions. There are written instruction for Data Validation Messages. If adjacent cells have a text label, you can use this quick technique to name cells. There are more instructions for Naming Cells in Excel.